Under Construction. Will it be yours? 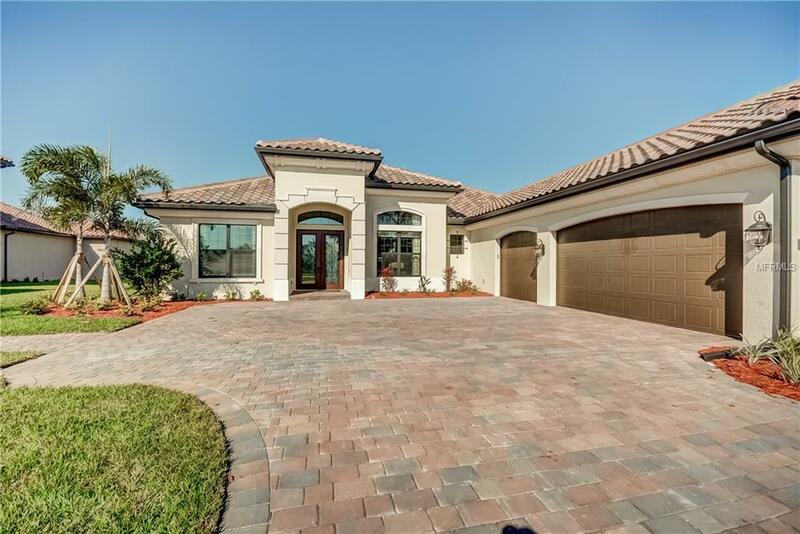 As one of only a LIMITED number of "Bougainvillea" models available in River Strand, the purchaser of this Extraordinary home will Enjoy Exclusivity as one of only a Select Number of community homesites with DIRECT MANATEE RIVER ACCESS. This Amazing Homesite, which comes equipped w/ a professionally installed dock & lift, also enjoys an Unfettered View of the Manatee River & surrounding natural habitats! A Premium Homesite, of course, deserves an equally impressive living arrangement, and that is where the Bougainvillea Shines. The soaring 13'-14' ceilings, a Distinct Feature relative to other single level plans in River Strand, makes for a Substantial First Impression. The large triple glass sliders, which adjoin the Great Room, offer a front row seat to that Magnificent View. A versatile open concept with high levels of natural light, the Bougainvillea offers a split-plan for maximum privacy & includes 4 beds (one of which can easily double as a den) w/ 3 baths. The kitchen Genuinely Impresses & features 42 inch Hazelnut Wood Glazed Cabinets, S/S appliances, & More. The side load Three Car Garage shows remarkably, & the brick pavers & tile roof offers a premium touch. Ownership includes a Golf & Social membership w/ a 27 hole Arthur Hills Designed Championship golf course, 2 Clubhouses, tennis club w/ 8 lighted Har-Tru courts, pickle ball, resort style pools, 2 fitness centers, & restaurant. Close to the beaches & a quick commute to Sarasota, St. Pete, & Lakewood Ranch!